At this point, you’ve probably realized that we Hatchbuckers are email fanatics. We write and talk a lot about the value of email marketing. And not without good reason. An eConsultancy study found that email delivers an average ROI of $38 for each $1 spent. How can you pass up that kind of deal? But before you can get that type of return on your email investment, you need to have subscribers who actually want to hear from you. And that’s definitely not as easy as it sounds. 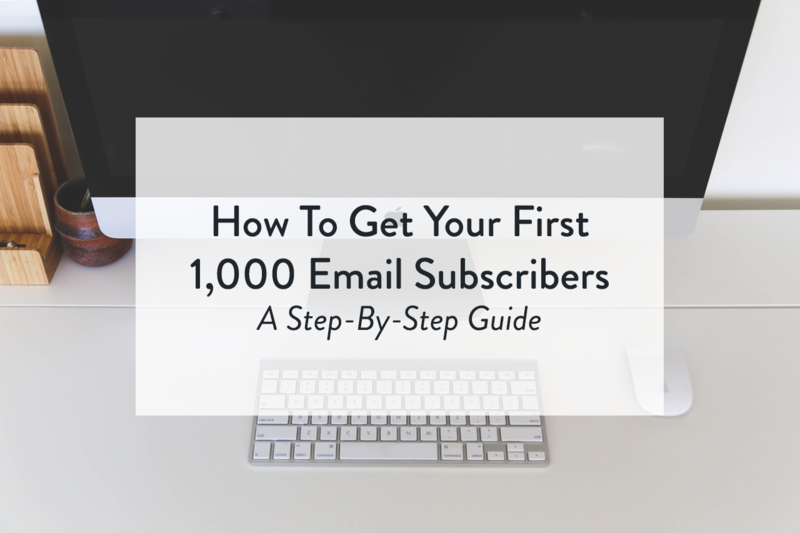 To help you build your subscriber list and reap the benefits of email marketing, we’ve put together these simple tips to get you started. Our good friend Benjamin Franklin famously said, “Failing to plan is planning to fail.” As is with everything, to have a successful start you have to sit down, outline your goals and determine the way you approach them. In today’s digital economy, people don’t just give away their email addresses. For most people, an address is a valuable piece of private information. To receive and use that information, you need their permission. And that’s where content marketing comes in. Creating high-quality content provides your customers with a value you can exchange for the permission to contact them. So the first question you should ask yourself is: what kind of content are you going to produce? It can be blog articles, videos, podcasts, books, etc depending on the type of audience you’re trying to attract. The second question is: what do you need to generate your first 1000 subscribers? In general, you should be able to convert at least 2% of your web traffic. That means you’ll need to get at least about 50,000 visitors, or improve your conversion rates. 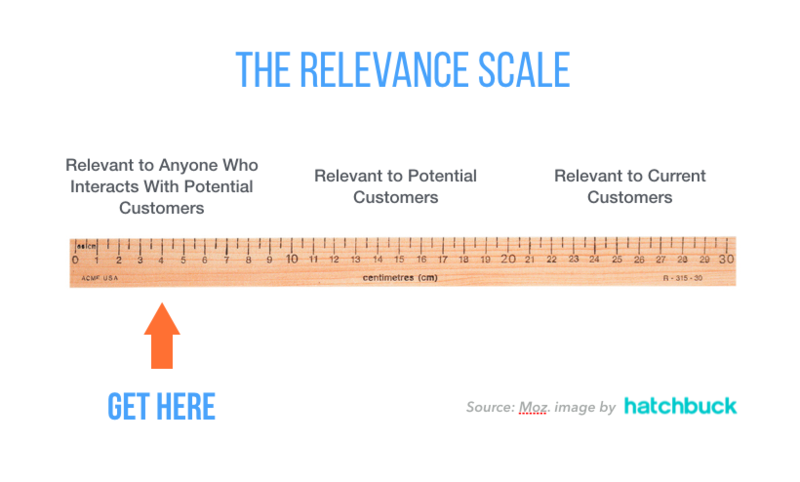 According to Moz founder Rand Fishkin’s content marketing manifesto, for maximum reach, you should target anyone who interacts with your customer. To make it work for your business, find out what gets in the head of your target audience. What kind of value can you offer? In other words, you need to find out what kind of problem these people have, that you can solve with your content. The best way to find out is to reach out to them directly. Use email, social media, go to meetups and meet them in person. Start conversations and find out what their most pressing problems are. Let’s say you’re a marketing agency and you learn that most of your target audience struggles with Instagram marketing. Now you need to create content that answers their questions. But not any kind of content, you want to provide massive value. In content marketing, you should try to stick to the “10x rule:” you must create content that 10x better than anything out there. That takes a lot of research and commitment. We’ll say it again…the returns will be worth your dedication. 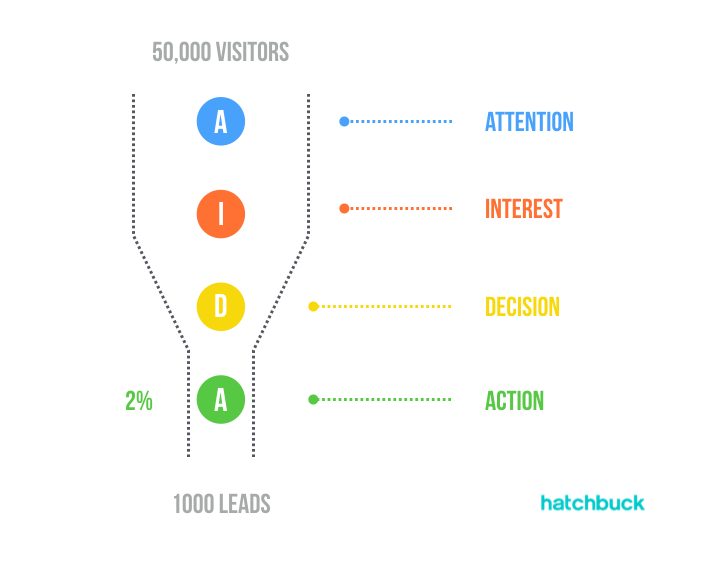 Once you start creating content you want to be able to convert traffic you get into leads. The first thing to realize is that people won’t just sign up right off the bat. You have to ask for it, and then, make it ridiculously easy for them to sign up. That means make your forms as simple as possible. If all you need is their email address, ask for their email only (although – we always recommend grabbing a name as well. See: personalization). Get rid of all unnecessary steps and forms. There are several ways you can convert your traffic. You have to be careful because there are always tradeoffs between experience and efficiency. If your blog or website is cluttered, it will scare people away. 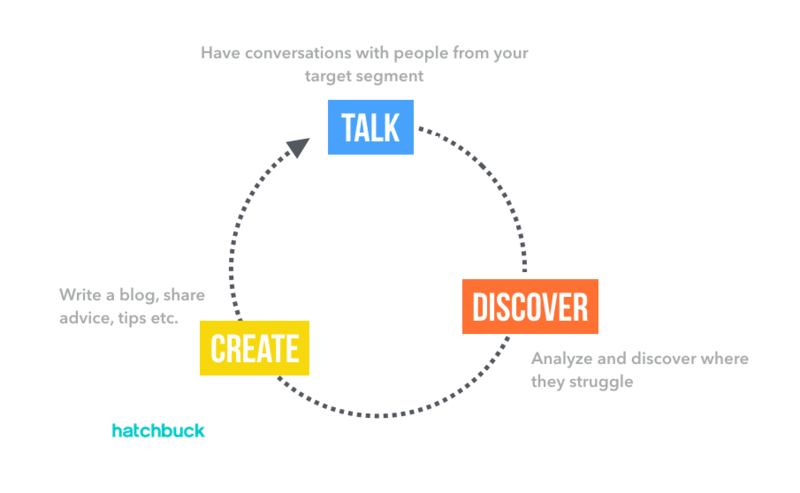 A foolproof way to convert your traffic is to offer something in return. It can be an eBook, webinar, white paper or something of a relevant value. Then there are content upgrades. Content upgrades are something that expands your existing content, a checklist, a list of resources or even something as simple as a PDF version of the article. Once you have something to offer, you want to strategically place several CTAs on your blog or page where you host your content. Pro Tip: If your primary form of content is YouTube videos or podcasts, you should create a landing page where your audience can sign up and direct the traffic there. 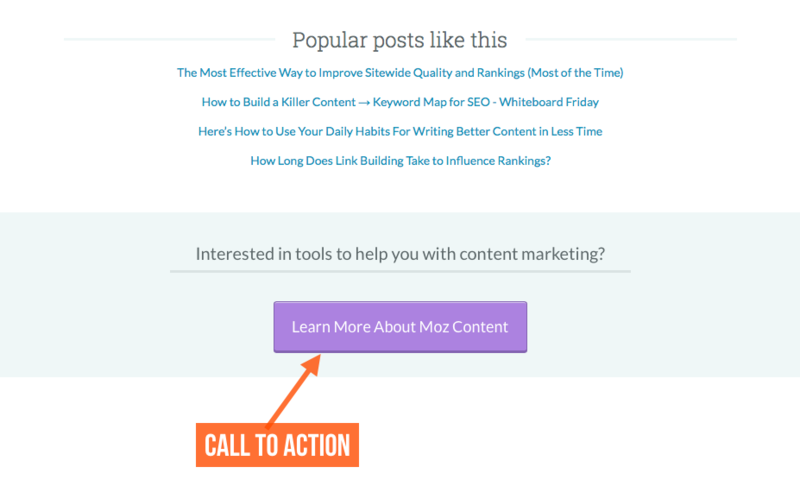 Aside from paying for traffic, here’s a list of free ways you can use to generate visitors. Reach out to social media influencers: A single endorsement from a big name can kickstart your traction. Partner with popular Facebook, Linkedin, Meetup etc. groups: Reach out to owners and offer an exclusive deal for their audience. Partner with newsletter owners: There’s bunch of newsletters that may either feature your ad or partner with you. BTW, email is the most powerful conversion channel. Write answers on Quora: There’s a number of examples of companies gaining traction through Quora. It takes time and commitment, though. Write guest posts: Reach out to relevant blogs and websites and offer to share your knowledge and experience with their audience in a form of a guest post. Ask for referrals: Ask people in your network as well as your existing users and fans for referrals. Twitter Search: Search for keywords such as “looking to solve X problem” etc. Warble and Buzzsumo are great tools to automate this. Publicity stunts: If Richard Branson could become a billionaire thanks to this tactic, you can definitely get few customers out of it. Build partnerships: Partner with complementary blogs and companies. Sponsor & organize meetups: Buy few boxes of beer and pizza and get to pitch audiences at meetups with 100+ attendees. Now you’re getting traffic and hopefully converting leads. At this point, it’s all about gathering feedback and improving both your content and conversion rates. Use surveys, engage with your audience and monitor your CTAs. Then, use that data to constantly improve. Ready to Elevate Your Email Game? You Need These Free Templates.